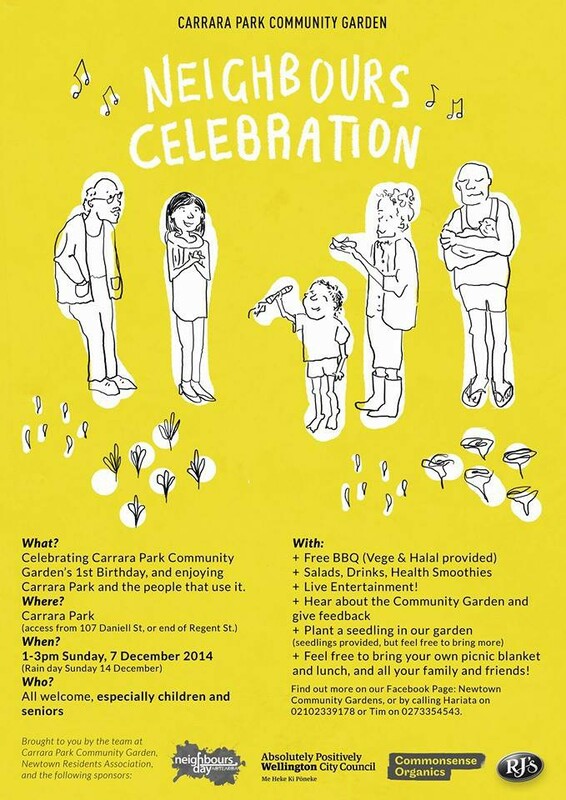 Carrara Park, Sunday 7th December, 1-3pm. Access from alley way by 107 Daniell St or from Regent Street. Celebrating the Community Garden’s first birthday, and enjoying Carrara Park and the people who use it. Food and entertainment provided, all welcome. Hear about the garden, plant a seedling, or just enjoy the occasion.